The purpose of the Society is to discuss these individuals in order to learn more about them and share information about your "Black Sheep" with other members of the IBSSG! Many times having a Black Sheep in the family leads to a family "wall of silence" and research into the family becomes very difficult. Our Goal is to help find alternate routes to information sources, and to "normalize" the view of the black sheep as a person, who has a place in the FACTUAL history of the family, without regard to behaviors. Remember, the acts may be embarrassing to others in your family, but within the Society, you are not alone! Many of us have similar situations, and can relate (actually many of us are related) to the problems in doing this research. 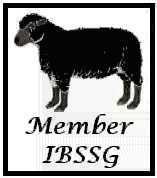 Would you please consider me for qualification as a member of the International Black Sheep Society of Genealogists? I refer to three of my ancestors and their accounts may also be found on my personal web site, "The Koska~Timm Family Rosebush" found at www.megspace.com/family/achsah2. The first concerns my ggggggggg-grandfather, Henry Wolcott. Since he was "had up" in the courts, I believe his misdeeds would fall within the "criminal" category, considering this happened in the 1600's. Henry, his wife Elizabeth, and their children sailed to America in 1630 on the "Mary and John." This was the same year the ten ships of the Winthrop fleet sailed and just ten years after the Mayflower sailed. Henry's grandson Roger became governor of Connecticut 1750-54. His g-g-great-grandson Oliver was the governor of Connecticut 1796-97 and was also a Signer of the Declaration of Independence. Despite the noble and notable history of this family, there was a dark page in their past! The records of the Bishop of Bath and Wells record that on July 17, 1609, Henry Wolcott was: "Had up for incontinence with Elizabeth, his wife, before marriage. They were married two years agone and she was delivered of child within thirty weeks after." The second concerns my great-great-great-grandparents John and Electa Wilhelm, whose granddaughter was, incidentally, in the same line as Henry Wolcott. This incident was of a social nature, harmful only to John himself. However, had he had survived the incident, it may have been considered criminal! John and Electa had a serious fight which led to Electa's moving out of her home to live with a daughter. She died while there and was buried away from the family plot. Later, John decided to exhume her body by himself and move her to the place where they had intended to be buried together or to where he had decided they should be buried together. While he was digging her up, he himself died. The third concerns my paternal grandfather. Because he was not apprehended, it will remain a social indiscretion. According to my brother, our grandfather Frank had a still during the depression and sold his moonshine. Now, this was not in the back hills of Kentucky, but on the vast plains of Minnesota! Of course, at that time "la creme de la creme" brewed the stuff in their bathtubs! Once, when Grandpa was on his way to sell a load in his new car, he was beset by revenuers who shot at the car. When he got home and Grandma saw the damage, he tried to blame the holes on the gravel roads! On another occasion, Grandma sent Dad out to dig up the garden. When Grandpa found what he was doing, he beat Dad because he had some moonshine stashed there. When my daughter heard this story, she said that Grandma probably knew about the buried moonshine and told Dad to dig hoping that the stash would be exposed without her intervention! Yes on three counts of Qualification, attempted body snatching and all. Who are we to be the judge? By a few facts and stories shown. Because of my acceptance into the society, I am now entitled to sign genealogical correspondence as "Barbara Koska Timm, IBSSG!" Meanwhile, my cousin is searching for evidence that will qualify us as "Decendants of Bastards of English Royalty!"